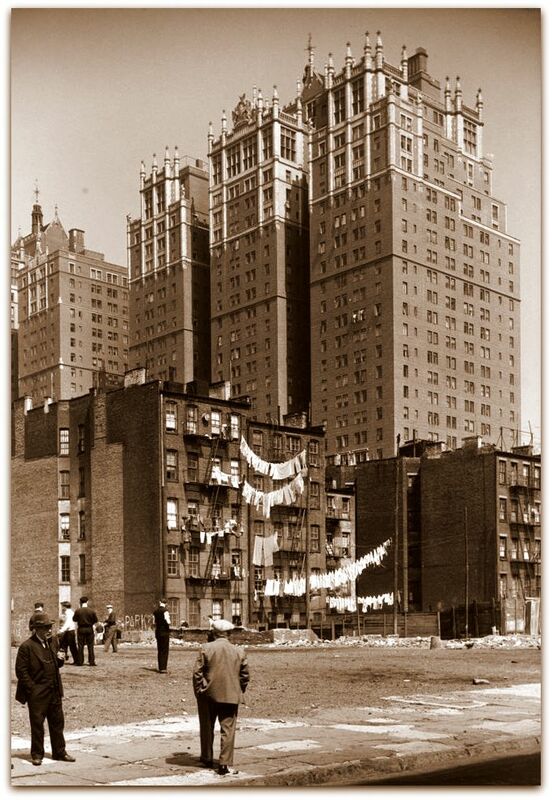 A classic Tudor City image, looking northeast from the corner of 39th & Second. Windsor Tower rises majestically above a ragtag jumble of tenements and clotheslines. Taken around 1931, it illustrates a favorite Depression-era theme, class contrast in New York.